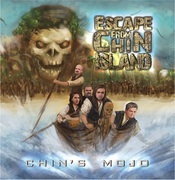 (PRLEAP.COM) Releasing power that has built for three years, Chin's Mojo announces a new album, "Escape From Chin Island." This is the third recording to feature Chin's Mojo accompanied by a symphony orchestra. The album cover depicts how Chin was stolen in a gold box from his native island. The songs narrate a desperate struggle to reach home. "I moved 200 miles away because of my new job," explained vocalist Tom Jordan. "This made everything about our band more complicated. It's difficult to get together, difficult to produce new music. A band cannot stay relevant without new music." Accompanying Chin's Mojo is the North Sentinel Island High School Symphony Orchestra. This album delivers power and melody in just the right combination. Director Dr. Robert Fore noted, "The orchestra prepares for months to prepare for our American studio trip. It's our third Chin's Mojo album and the faculty and students are excited!" 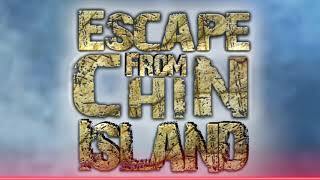 With "Escape From Chin Island", the band releases 5 original songs on their first album in three years. Chin's Mojo's drummer Steve Kautz explained, "We'll do whatever it takes to draw out that emotional experience. We own a recording studio, so there's a lot of listening, a lot of crafting a song and experimentation. Adding that layer of rich orchestration behind the rock band is something no other band can do." An epic release in time, expense and dedication, this album is worth the effort. "Escape From Chin Island" will be shipped on November 30th, 2018. Presale and more information is available at http://www.ChinsMojo.com This is one record you are going to love!